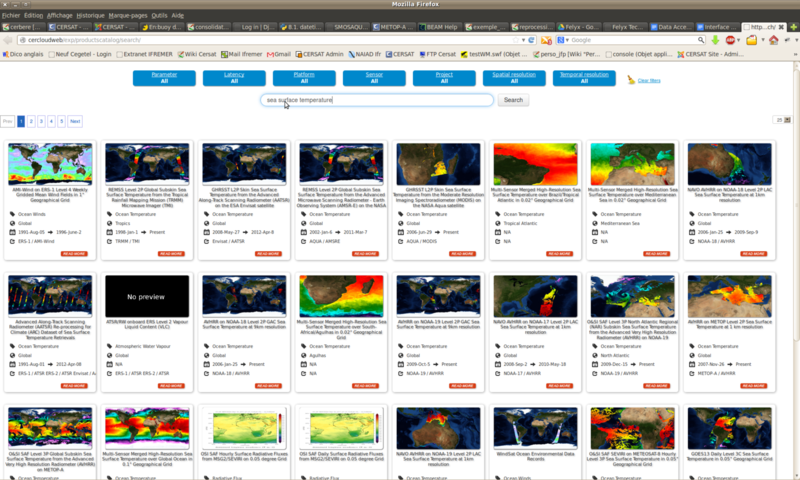 All these input and processed datasets are available on OceanHeatFlux FTP repository, at: ftp://eftp.ifremer.fr. Several relevant datasets are collected from various sources for OceanHeatFlux project and used to generate other datasets or to support validation or intercomparisons of these datasets. Some of the collected datasets are also processed in order to provide consistent and homogeneous composite files, on the same grid and temporal resolution, as well as multi-year climatologies. Note that you can also access all those product directly on CERSAT cloud, see this page. Some of these datasets are restricted to project partners due to the original provider distribution policy. Therefore the access to the FTP site is protected : any user interested in the datasets shall use the registration form (soon available) in order to subscribe. The visible datasets once logged will depend on the user status within the project. External users will not see any of the restricted datasets. The complete product catalogue can be browsed here. Production description and access details are provided for each item. You don't have the login / password of this FTP? please fill the following form or send a request to Jean-François Piollé or Antoine Grouazel at Ifremer.